See a friend or loved one reach for the car keys after a boozy night out and many people will speak out or persuade them to hand over the keys. But how about when a friend insists on driving when they are simply tired after a long day? Fatigue is a major factor in up to 1 in 5 road crashes and according to experts, remaining awake for periods in excess of 18 hours can impair abilities to a degree that is comparable to exceeding the drink drive limit in many countries. 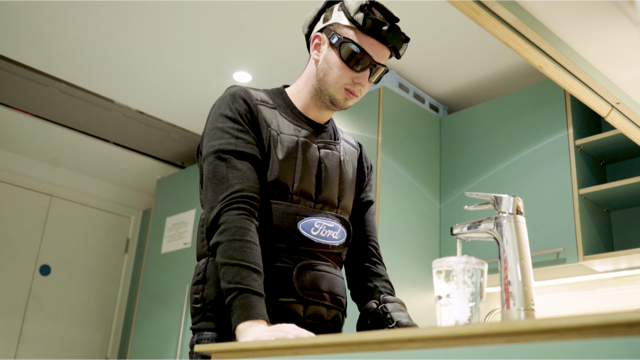 Ford has now commissioned the creation of a “Sleep Suit” that enables wearers to experience the debilitating effect that tiredness can have. Transport accidents are the leading cause of death among young people, and the company will integrate training with the suit into Driving Skills for Life (DSFL) its free young driver training programme for 17- to 24-year-olds. 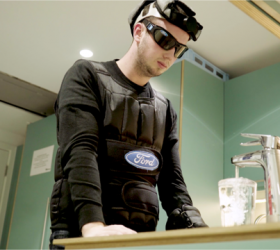 The suit partly consists of special goggles that simulate extreme exhaustion, including microsleeps – an uncontrollable response to tiredness. Microsleeps can result in those behind the wheel driving blind for 10 seconds or more, sometime with their eyes still open, during which time they may have covered hundreds of metres. There may be no recollection afterwards that this has happened. Connected to a smartphone app, the goggles can be set to simulate the brain shutting down and the driver effectively seeing nothing ahead of them for half a second, then for increasingly longer periods, up to 10 seconds. Worn together with a specially designed cap, vest, arm and ankle bands – with a combined weight of more than 18 kilogrammes – the overall effect offers an insight into the degree to which tired drivers are impaired. In the US, most drowsy driving crashes are caused by under-25s. Haulage Today - at the heart of the haulage industry..
News & Updates for the Haulage industry..